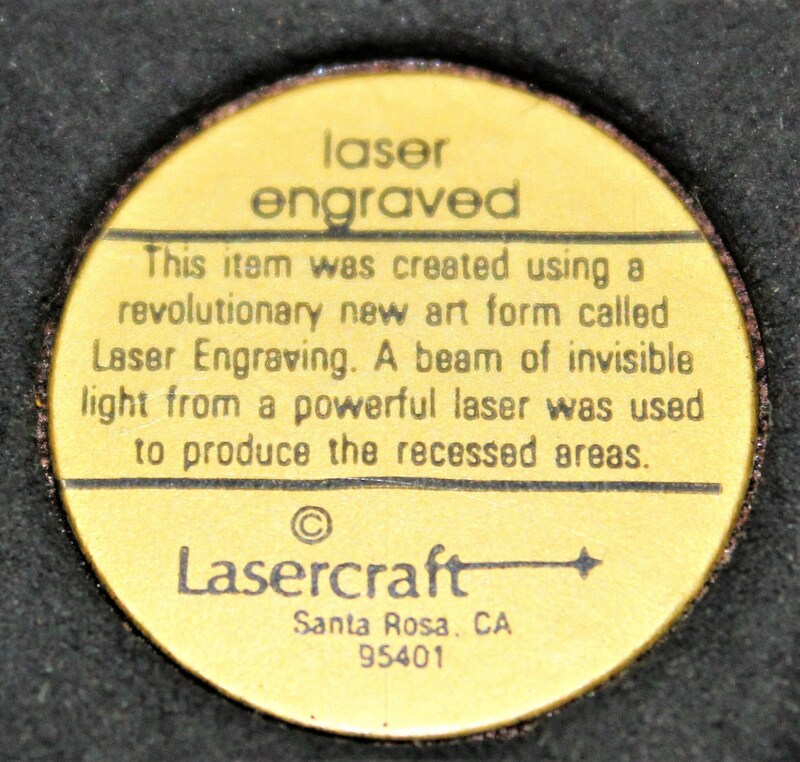 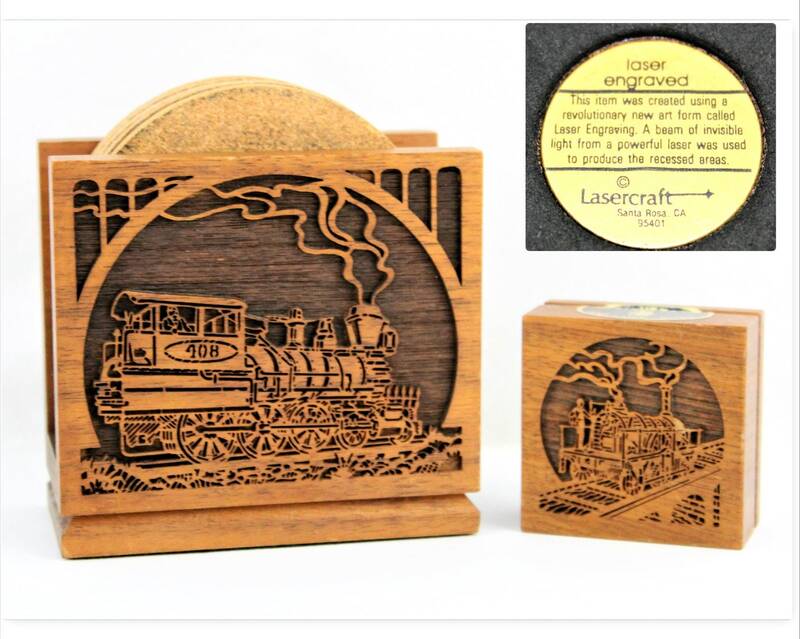 Wonderful decretive coaster set made by Lasercraft of Santa Rosa CA. 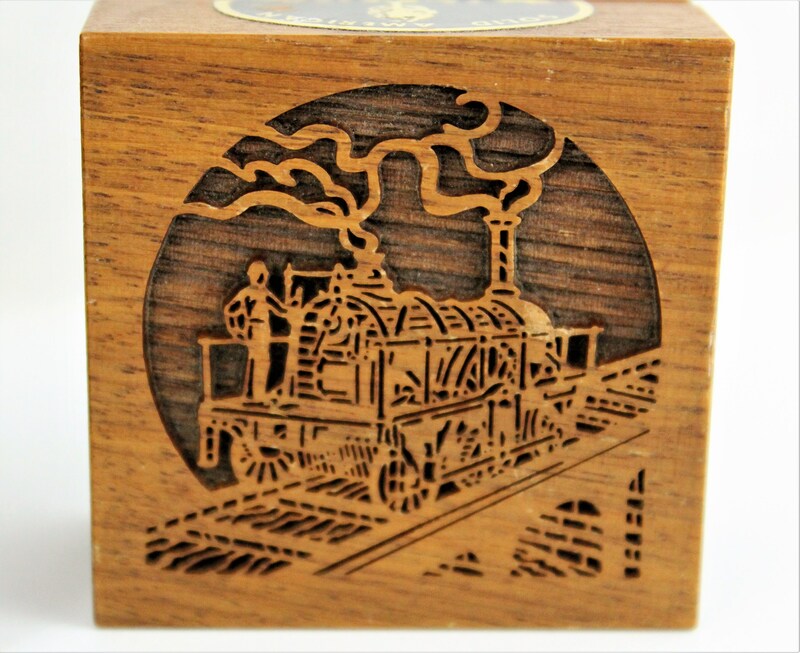 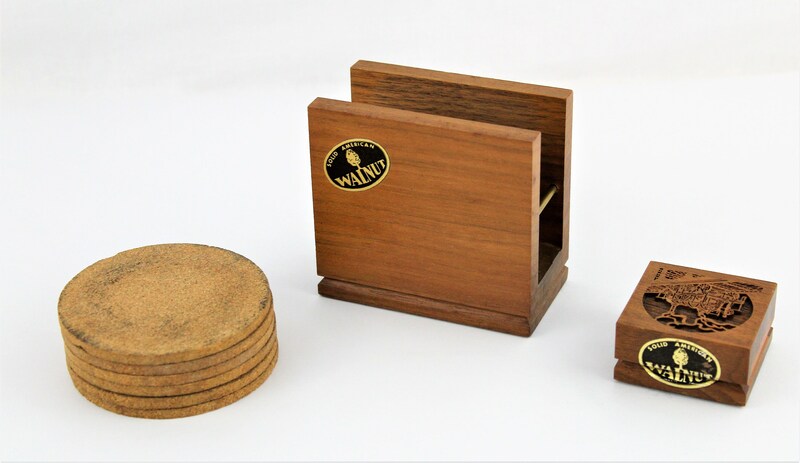 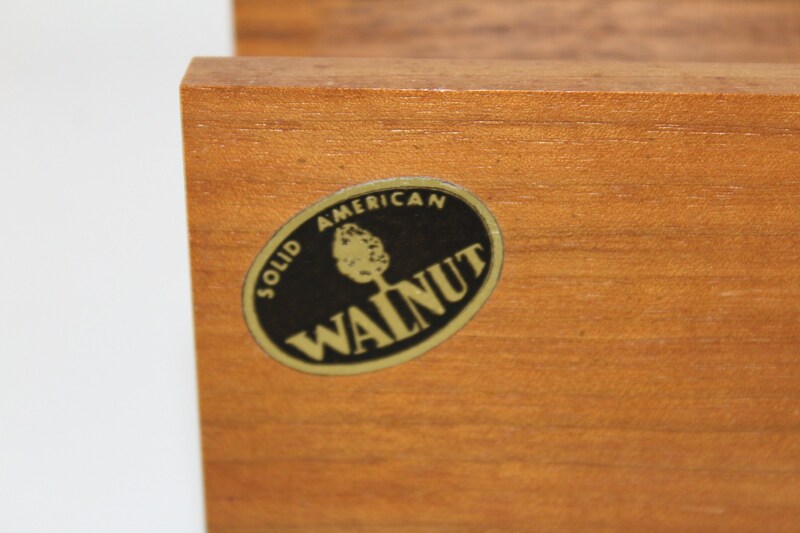 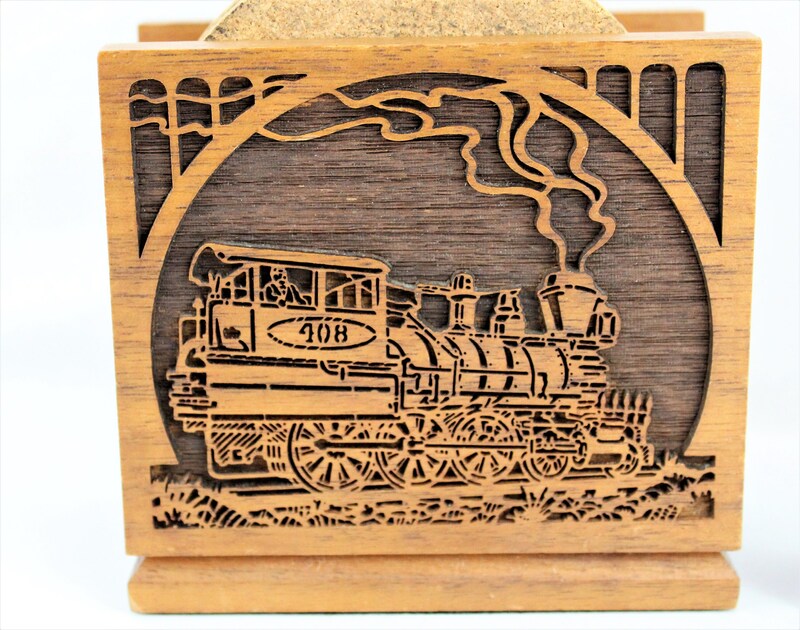 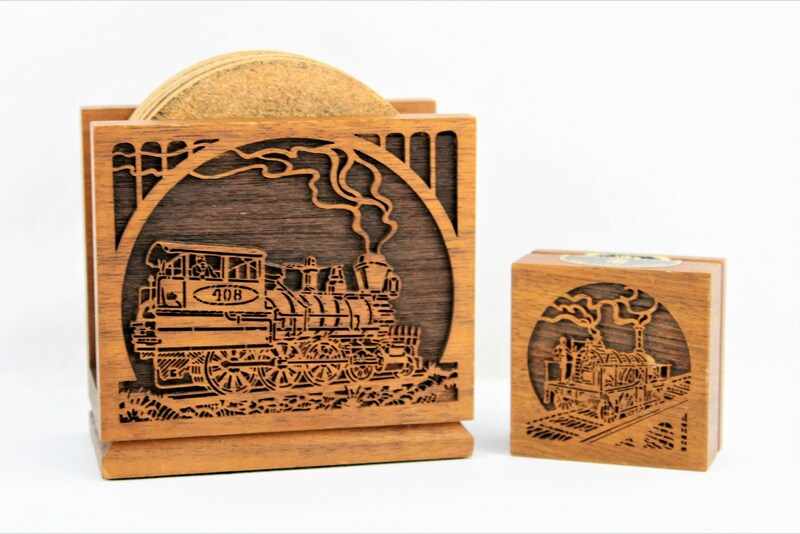 Made of American Walnut this set features a vintage Locomotive laser cut into the walnut also included is a solid walnut paperweight which also has a locomotive laser cut into the top surface. 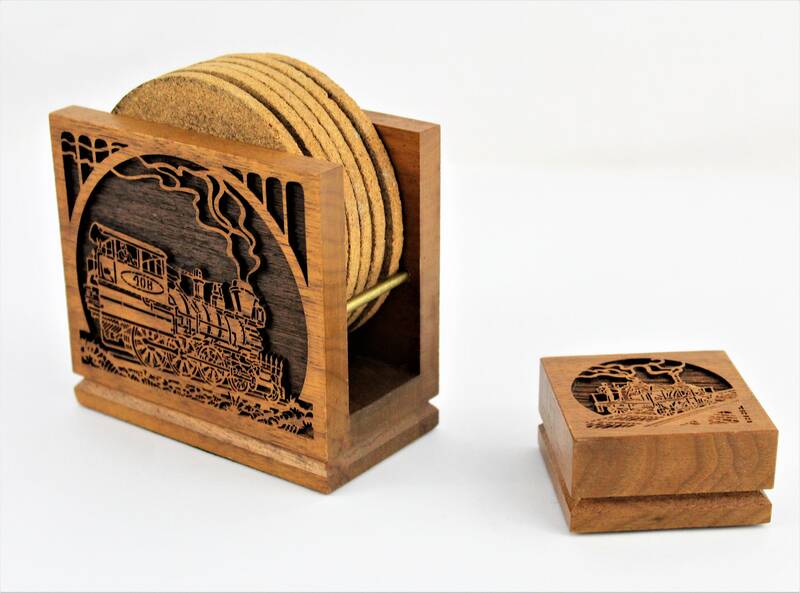 These will make a great gift for a lucky train enthusiast.